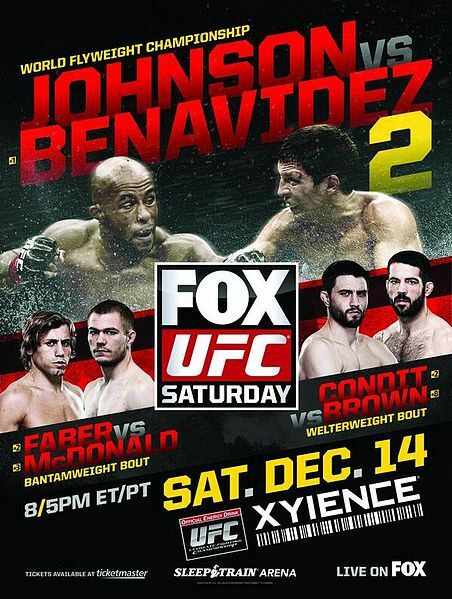 The cast of UFC on FOX 9 will gather today in Sacramento to speak with the media ahead of this Saturday’s event. Headliners Demetrious Johnson and Joseph Benavidez will be in attendance as well as Urijah Faber and Michael McDonald and more. Dana White announced Saturday night at the UFC 98 post-fight press conference that the UFC will be coming to the Staples Center in Los Angeles, California on October 24, 2009. That would most likely make the evet UFC 104. The UFC has not been to the Staples Center since UFC 60: HUGHES VS. GRACIE back in May of 2006. It will be the UFC’s first event anywhere in California since UFC 76: KNOCKOUT back in September 2007 when Keith Jardine won a split decision over Chuck Liddell in the main event at the Anaheim Center in Anaheim. UFC 99: THE COMEBACK is the next UFC scheduled and it will take place in Cologne, Germany on June 13th. Following that, UFC 100: LESNAR vs. MIR 2 is set for July 11th at Mandalay Bay in Las Vegas, Nevada. We begin with Forrest and Rashad.